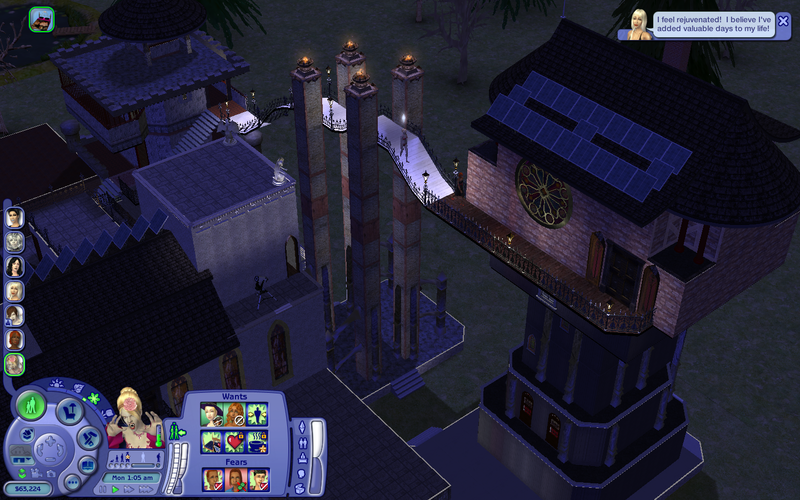 I have changed Gothier Green Lawns quite a bit I have added mulilevel mausoleums to the lot. when I need more storage I can add floors until I get to some 12 or so, then I start any cemetary. No reason you can't take out a TV if there is one there and you don't want that and make a lot of other changes while you are at it. (24-09-2018 04:24 PM)Pizzatron-9000 Wrote: Corruption? Maybe. Or maybe it was something that one of my mods sneaked in. Just skimming through this page turned up Laci Pederson and Jace Gergis, but Justus Walter seems to be new. Dating Professor Justus still gave Kileighney a nice boost in Class Performance, so at least he works. Yeah, a mod *could* have been responsible. And also, yeah, once the sim has been validly generated to act as a profesoor for regardless what reason, that sim is fully functional as a professor, whether its creation was justified or not. (24-09-2018 04:24 PM)Pizzatron-9000 Wrote: This page also suggests that there are two professors for each major, but it doesn't say anything about one man and one woman. Not to be a nitpicker, but where did you read that? (24-09-2018 04:38 PM)Pizzatron-9000 Wrote: Elixir of Life. I sink all of my excess Aspiration Points into Elixir of Life. Some of my houses have little storage areas full of the stuff! That would not even make a DENT in the amount of points that even a *single* sim racks up over time. In other words: they would all live forever (and it would waste a lot of time making them gobble the stuff), and I'd still have billions of AP in the end. So I took that whole issue out of the equation by simply stopping aging the moment a sim reaches adulthood! (24-09-2018 04:38 PM)Pizzatron-9000 Wrote: Once you reduce the threat of death by old age, that just leaves the usual lightning strikes, falling satellites, Cowplants, standing in sunlight for too long and so on, all of which are preventable. But I've still had a few casualties. (24-09-2018 04:38 PM)Pizzatron-9000 Wrote: Hey, my Sims tend to be pretty successful and happy too. I wasn't claiming that they wouldn't be, my friend. Just trying to show that, although my methods may seem to be harsh, in practice it isn't as bad as it may have come across. That's all. (25-09-2018 09:52 AM)BoilingOil Wrote: So, you were saying??? Bah. I guess I was saying "I concede." Did I mention that my most successful Sims (including my vampires — who don't need it anyway — and I expect that my zombies will soon join them...) routinely give Elixir of Life away as gifts? Nothing will give Sims a good Relationship boost like free Elixir of Life. Even the emptied Elixir dispensers never fail to meet with anything less than an ecstatic reaction from the giftee! So with all the gifting and regifting, who knows how many Elixir of Life dispensers — full, half-full and/or empty — I have floating around Pleasantview, with armies of friends, Best Friends and BFFs to show for it? Even my High Vampires have some Elixir, and they don't even need it! But they loved receiving it all the same. (25-09-2018 07:14 AM)lordtyger9 Wrote: I have changed Gothier Green Lawns quite a bit I have added mulilevel mausoleums to the lot. when I need more storage I can add floors until I get to some 12 or so, then I start any cemetary. No reason you can't take out a TV if there is one there and you don't want that and make a lot of other changes while you are at it. Whoa, you can build your lots up to twelve stories? Even though I had added "SetHighestAllowedLevel 15" to my userStartup.cheat file (because apparently 16 is the highest you can go before your game explodes, at least according to theory), the camera and its angles had trouble ascending past the eighth floor without getting all screwy. So I admitted defeat and dropped SetHighestAllowedLevel back to 8. ...and Viviana La Morde, Kay Pai (a former Downtownie whom Viviana took in after Kay fell victim to the High Vampire Rampage of 2015) and their five "blood dolls" have sold enough masterpiece paintings and pottery to build Tristania Towers up to eight stories too (seven above-ground floors plus a basement), particularly the great tower or keep where Viviana keeps her lair. The shorter tower which connects to Viviana's tower via that long, wavy bridge is actually eight stories as well; I used Boolprop ConstrainFloorElevation to "crush" the fourth and sixth stories and turn them into "thick floors" with rooms built on top of them, so that tower is shorter than Viviana's tower. But they're both eight stories; the bridge joins either tower at the seventh floor. The rest of the manor's pretty big too...just two or three floors shy of eight floors, that's all. So anyway, twelve floors. How do you do it? Would better computer hardware help me achieve that degree of awesomeness? 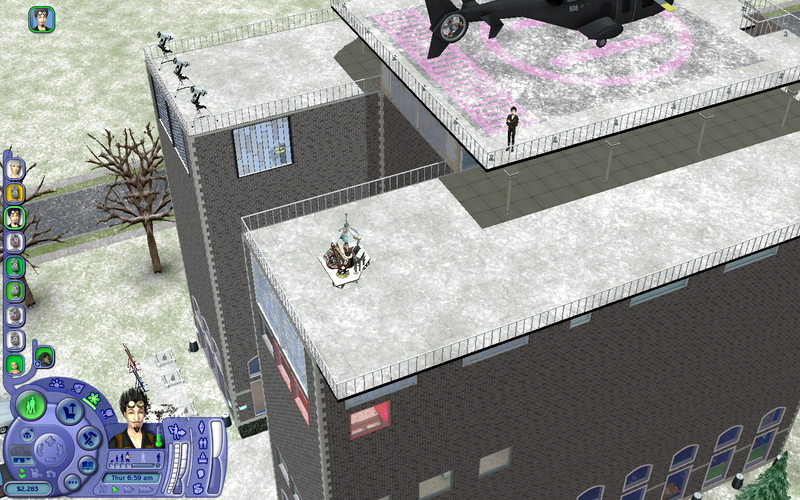 You misunderstood @Pizzatron-9000 I don't actually have any buildings that are 12 stories as of yet. I change the limit via SetHighestAloowedLevel 9 and at this point I have not had to exceed 9 anywhere. I was just thinking that if I have run out of room at Gothier Green Lawns and the buildings there are 12 stories that it would certainly be time to have another Cemetary. I might just decide that I have run out of room when I get to 9 stories there at Gothier Green Lawns. Anyway my point was that I would rather remodel before building in most cases.